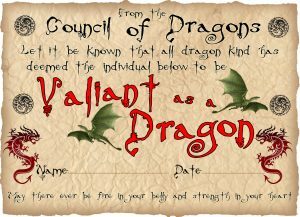 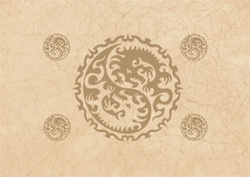 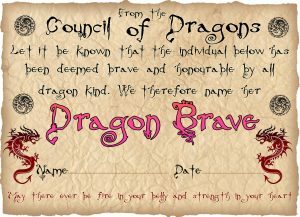 Dragon certificates are lots of fun for children’s parties or just as rewards for doing well. 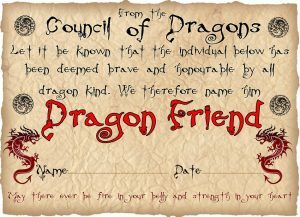 Don’t forget that if you want to turn your dragon certificate over and print a back on it before cutting it out, we have a specially designed one here. 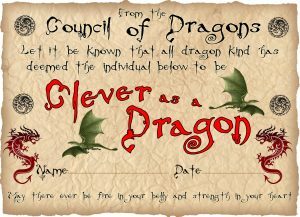 You can find more dragon printables on our general dragon page – and you might find some dragon extras on this post about St George’s Day too. 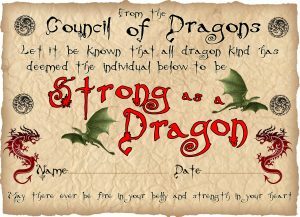 Happy dragon hunting!